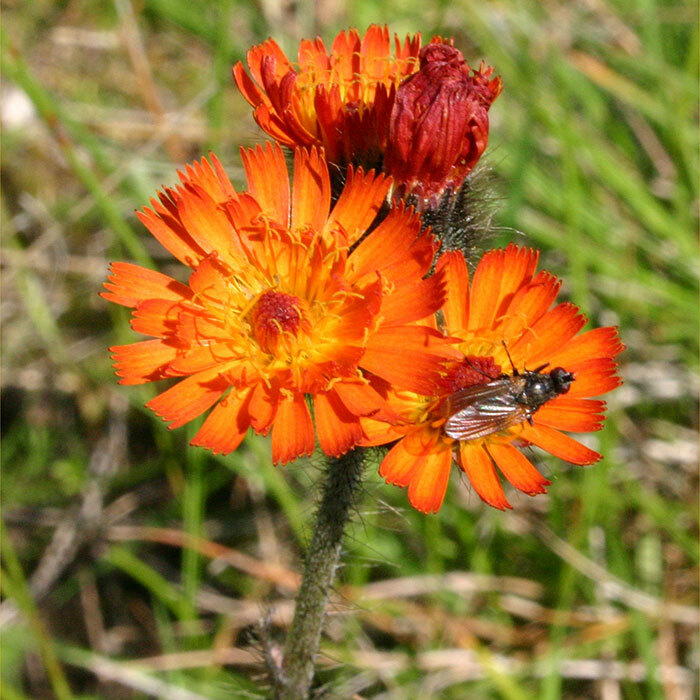 Scientific name: Hieracium and Pilosella spp. All the plants listed here are included on the National Pest Plant Accord, which means they cannot be grown, distributed or sold in New Zealand. Common in high-country and dry pasture land, river flats, forest margins and roadsides. Common in modified tussock grassland, roadsides, river terraces scrub and pasture. Mostly found in the North Island. Common in waste areas, modified tussock grassland, river terraces, lawns and pasture. 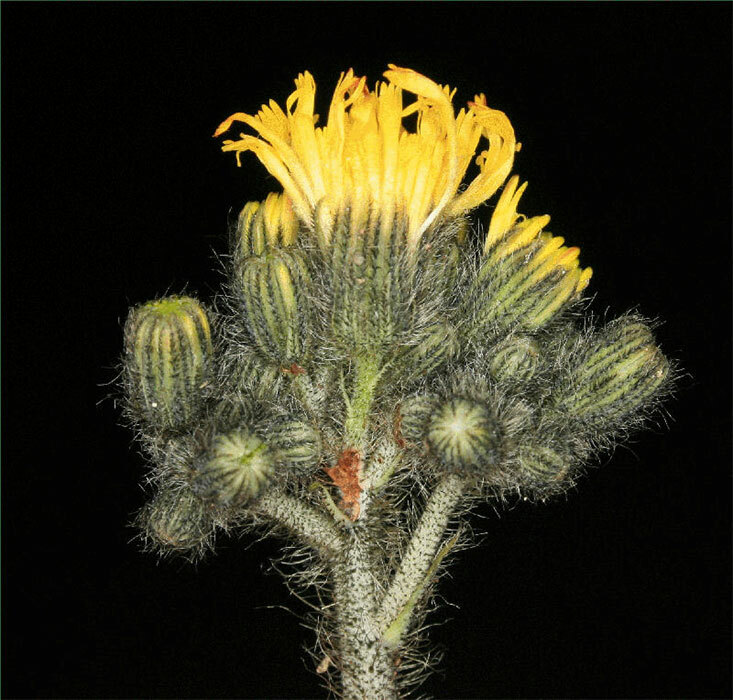 Field hawkweed (Pilosella caespitosa) is only found in the South Island (Marlborough, Canterbury, Otago), and has green leaves that are softly hairy on both surfaces. Native to Europe and deliberately introduced, hawkweed persists as an invasive weed in many parts of the North and South Islands. Seeds are ribbed with small hairs that allow them to stick to fur, clothing and vehicles. Provides nectar for bees and other insects. Stocking rates are reduced and gross annual revenue losses result. In 1993 this loss was estimated to be $45 million per annum for New Zealand. Spring grazing greatly reduces hawkweed flowering, as flowerheads are palatable to stock. This leads to a lower reproduction rate of the weed. The weed is highly invasive under low fertility; maintaining soil fertility is important for the control of hawkweed. Grubbing can be an effective method of control for small infestations. 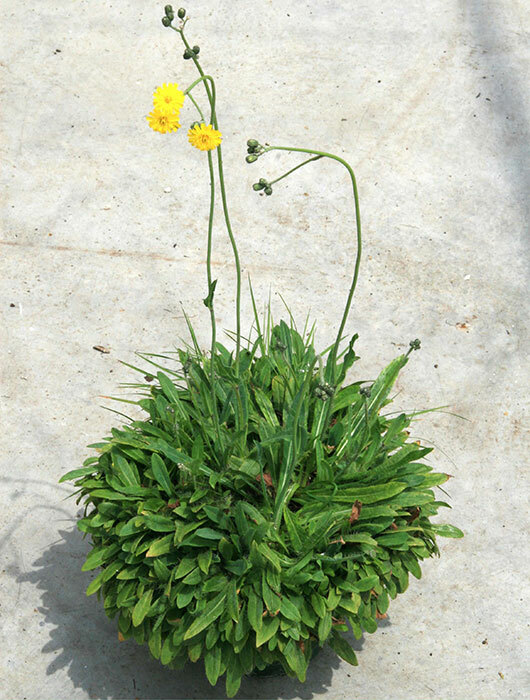 However, it is important to remove all stolons or the plant may re-grow. 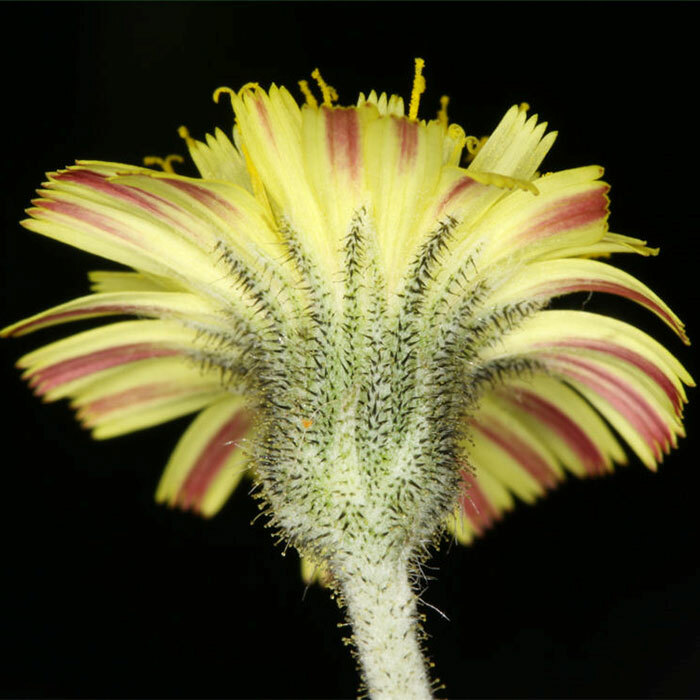 In trials 2,4-D has shown promise in controlling hawkweed. In areas of steep hill country where infestations are large and management options are limited consider forestry plantations. Not only will this wipe out the hawkweed infestation but may increase farming profits once trees have established. Espie PR 1984. Integrated pastoral management strategies for Hieracium control. Proceedings of the New Zealand Grassland Association 56: 243-247. http://www.grassland.org.nz/publications/nzgrassland_publication_778.pdf(accessed 1 August 2014). Espie PR 2001. 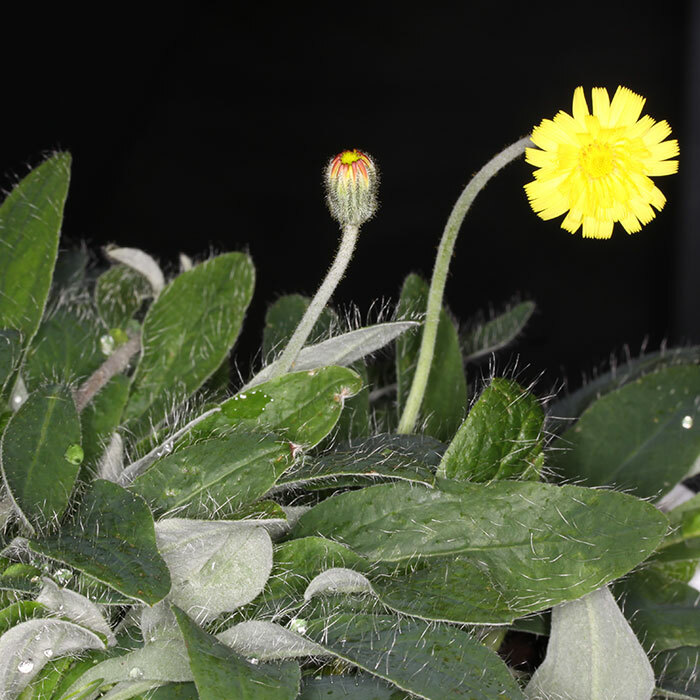 Hieracium in New Zealand: ecology and management. AgResearch Ltd, Invermay, New Zealand. 66 p.
Hayes LM 2005. Biological control agents for weeds in New Zealand: A field guide. Landcare Research New Zealand Ltd. https://www.landcareresearch.co.nz/__data/assets/pdf_file/0019/43138/weeds_field_guide.pdf (accessed 30 July 2014). Jacobs J, Wiese J 2007. 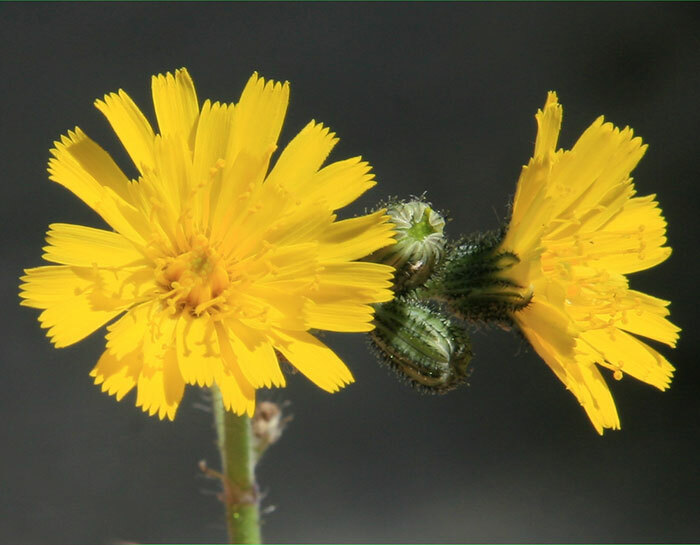 Ecology and management of invasive hawkweeds (Hieracium spp.). Natural Resources Conservation Service, Invasive Species Technical Note No. MT-16. United States Department of Agriculture. http://www.nrcs.usda.gov/Internet/FSE_PLANTMATERIALS/publications/mtpmstn7731.pdf (accessed 1 August 2014). National Pest Plant Accord (NPPA) 2012. http://www.mpi.govt.nz/Default.aspx?TabId=126&id=1411 (accessed 30 July 2014).